A Master's degree in Astronomy is a gateway into a wide world of science and technology. Students are trained by astronomers from the world-renowned Kapteyn Astronomical Institute, a centre leading in astronomical research on galaxy formation and evolution, cosmology, star and planet formation, neutron stars and black holes. The two-year curriculum of the Master's degree can be tailored according to your own interests and capabilities. The wide range of options include the possibility to focus on observational astronomy, theoretical astronomy, astronomical instrumentation and informatics, data science or astronomy teaching. Dutch Astronomy graduates in general, and Kapteyn graduates in particular, have excellent career prospects, within and outside of science. The Master's programme in Groningen is ranked as a top-degree in the Netherlands (by the 'Keuzegids'). Facilities are being ranked as outstanding, while the quality of the lecturers, the research component as well as the preparation for the professional field through e.g. internships are ranked as very good. To enable students to gain additional experience in business and economics as well as to follow a company internship, the special Master's profile 'Business and Policy' has been designed. The Theoretical and Observational Astronomy master is jointly organized with Physics and Mathematics in the Quantum Universe track. It comprises 60 ECTS of coursework. 20 ECTS are spent on Advanced Astrophysics, and 20 ECTS are spent in joint courses such as General Relativity and Electrodynamics of Radiation Processes. The last 20 ECTS are optional courses. The research project (Master's thesis) comprises 60 ECTS and is carried out under the supervision of the research groups at the Kapteyn Astronomical Institute. In the Instrumentation and Informatics track, you follow a number of courses aimed at supplying you with skills dealing with astronomical instrumentation and informatics. The research is split into 40 ECTS worth of Master's research/thesis and 20 ECTS for an industrial research project, as well as 60 ECTS of coursework which includes a substantial component (40 ECTS) of instrumentation and informatics courses. The research work is carried out under the supervision of a staff member from the Kapteyn Astronomical Institute (including affiliated staff members from SRON and ASTRON, see below), and often in interaction with his or her research group, resulting in Master's thesis of high international standard. As part of this new specialization you must take a number of courses in Data Science. Modern astronomy deals with big data, and this specialization supplies you with skills which are also highly demanded in other sciences as well as in society and business. Bachelor's degree in Astronomy; possible admission for a Bachelor's degree in Physics or Applied Physics. Sirius A is the study association for astronomy in Groningen, the Netherlands. Astronomy in Groningen is taught at the Kapteyn Institute and is part of the University of Groningen. Besides aiding you in your study, Sirius A informs you on future career prospects, promotes social bonding between you and your fellow students by many events and gives you the opportunity to participate in voluntary work and explore your qualities. Furthermore, Sirius A is always open for cooperation. Please contact us if you have any questions or queries. 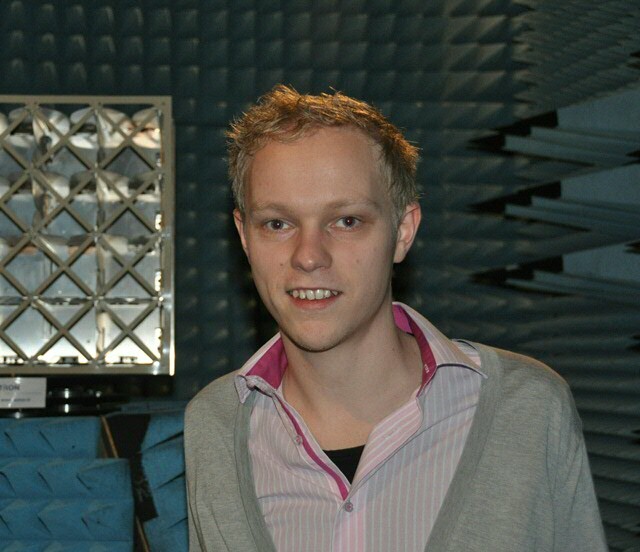 'I've been working as Junior Commissioning Engineer for ASTRON, a radio astronomy institute, for about a year now. I did my final project here as part of my Master's programme in Instrumentation & Informatics, and they offered me a job. Astronomy aan de Rijksuniversiteit Groningen is beoordeeld door 14 respondenten. Gemiddeld waarderen ze de opleiding met 4.8 uit 5. The objective of the Groningen Master's degree program is to give students the best opportunity for participation in major European or global astronomical research projects, in PhD programs, and in professions dealing with astronomical instrumentation and informatics. While the Master's program in Astronomy is primarily aimed at training researchers, a substantial amount of graduates successfully find employment in the public or private sector. Astronomy graduates are well-trained problem solvers, skilled professionally not only in astronomy but also in physics, mathematics, IT and computing science.